Yes, we did already talk about the Master, but now that Missy is here, it’s a whole new conversation! 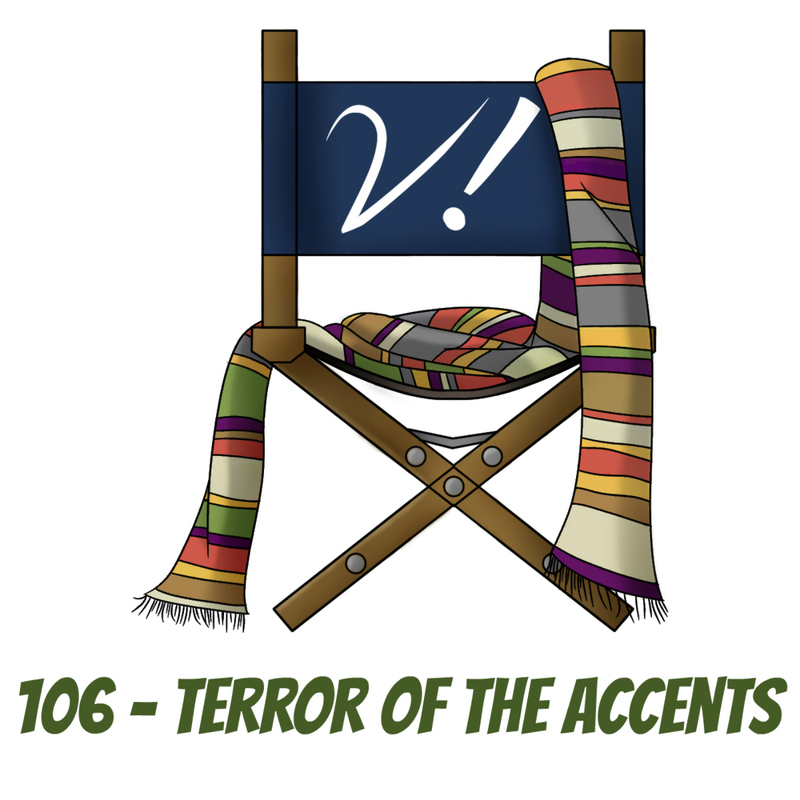 Join Deb, Erika, Liz, and Tansy as we talk about the vast and interesting history of this character and their interactions with the Doctor. Who’s your favorite Master? Why? And what do you think has been most consistent/most off-the-rails about them? Let us know in the comments! discovered the (non-DW) women-hosted podcast, Roboism! recorded a yet-to-be-released guest spot (with Steven) on Doctor Whooch! Tansy watched Green Wing (which co-stars Michelle Gomez)! Liz loves P-Cap even more because of his drawing on a “Listen” script that the DWAS auctioned for Syrian refugee relief! Deb delights in the doings for Titan Comics’ Doctor Who Comics Day 2017! Kat and Chris nab two tumblrs related to John Simm’s eyeliner! and especially recording last week’s Verity! with Caroline Symcox! Tansy is on Valium, Liz forgets her intro, and Kat gets to talk about punk rock. A good time is had by all! And of course, it wouldn’t be a Verity! ep if the Verities didn’t take a sweet tangent into social issues. This time it’s an examination of accents and the class systems of various countries. Liz loves the deals available on the soon-to-be-closed-down BBC Shop! can’t wait to snap up the “Genesis of the Daleks” vinyl reissue on Record Store Day! wants to listen to music through Bad Wolf TARDIS wireless speakers! is a 100% Rebel Time Lord (her t-shirt says so)! congratulates P-Cap for helping set a Guinness Book world record! Tansy squees at an 8th Doctor quote outside a friend’s local tea shop! is all ears for new companion rumors! looks forward to streaming Doctor Who on Amazon Prime! Yes, we assure you this really is episode 74. Pay no attention to the wildly inaccurate introduction claiming we’ve gotten further than we have. This is what happens when Deb leaves us alone. Join Erika, Liz, and Tansy as we try to cope without our moderating maven. And what are we discussing? We stick to our 2015 theme of companions, but we take it in a different direction this week. We’re talking about the companions of a different Time Lord. 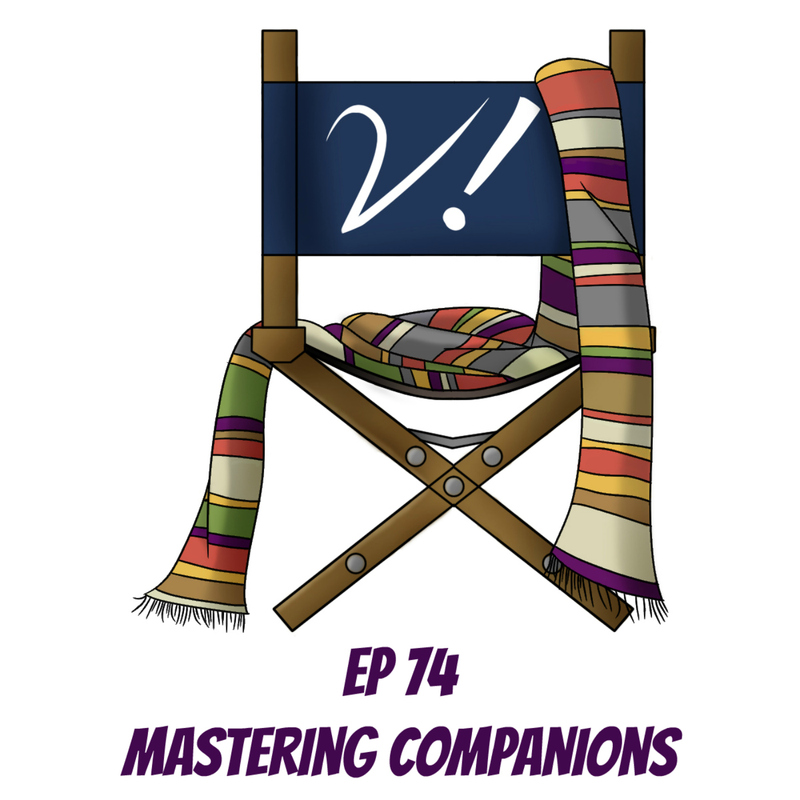 Yep, from Delgado to Gomez, we’re covering the Master’s (Missy’s) companions! Why does the Master always seem to have lackeys assisting him? We discover the Master’s reasons for picking up strays aren’t always that different from the Doctor’s, though his methods of acquiring these “helpers” is usually quite different. What do you think of the Master’s companions? Let us know in the comments! Liz discovers a delightful new podcast called Lazy Doctor Who! Tansy enjoys the return of The Wife in Space blog! gloats over the reaction to her love of Zagreus! launches a new Doctor Who podcast with her spouse! The season finale has finally arrived! Or part one of it has, anyway. It’s safe to say that most of the Verities are preeeeety excited about it. Join Deb, Erika, Liz, and Tansy as we enthusiastically flail and squee and jabber about all there is to love and speculate about “Dark Water”. There’s a lot to chew on here. There’s also a bit of a Skype lag, which causes some simultaneous talking, but that doesn’t stop us from gleefully recounting our favorite bits and examining what (we think) is going on. What did you think about “Dark Water”? We know the response wasn’t entirely positive, and as always, we’re interested in all your opinions! (As long as they’re phrased kindly and don’t insult those who disagree, anyway. Of course, you guys are awesome and pretty much always stick to that!) So please leave a comment and let us know what you thought of these revelations and why. Can it be Saturday already please? Tansy’s already happy Halloween was much improved by seeing Sean Pertwee dressed as his dad, the 3rd Doctor! Liz is the proud(?) new owner of a Destroyed Casssandra action figure! Erika tests her mettle at Doctor Who Sporcle quizzes courtesy of Luke from TMDWP!